274 Beacon is located on the north side of Beacon, between Dartmouth and Exeter, with 270 Beacon to the east and 280 Beacon to the west. 274 Beacon was designed by George Clarke Whiting, architect, and constructed by Barrows & Company in 1929 as a ten story, sixteen unit apartment house. The 274 Beacon Street Trust is shown as the owner on the original building permit application, dated March 1, 1929. Plans for the building are included in the City of Boston Blueprints Collection in the Boston Public Library’s Arts Department (reference BIN B-5 and D-2). 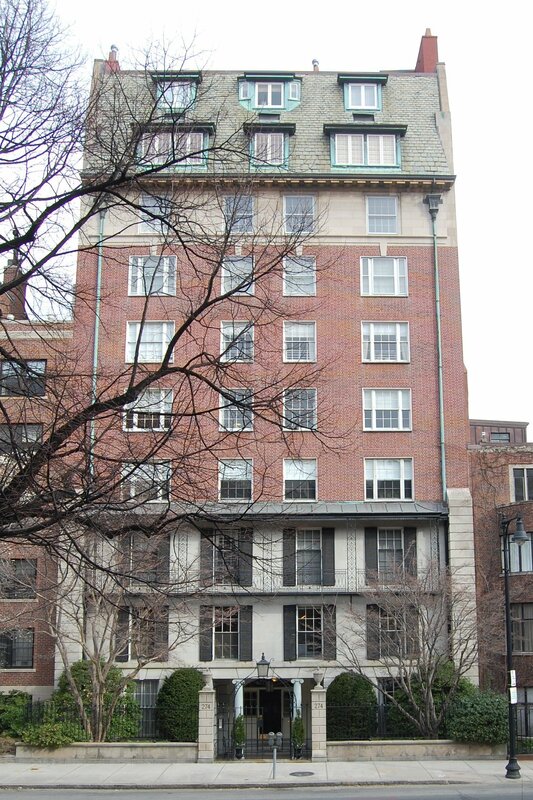 The 274 Beacon Street Trust was formed on February 2, 1929, by architect George C. Whiting (who designed the building), real estate dealer Harrison O. Apthorp, and contractor Frank G. Barrows (whose company built the building). They purchased the property at 274 Beacon on February 4, 1929, from George Whiting’s father, Walter Rogers Whiting of Hingham, who had purchased the property on September 4, 1928, from the estate of Francis Lee Higginson. 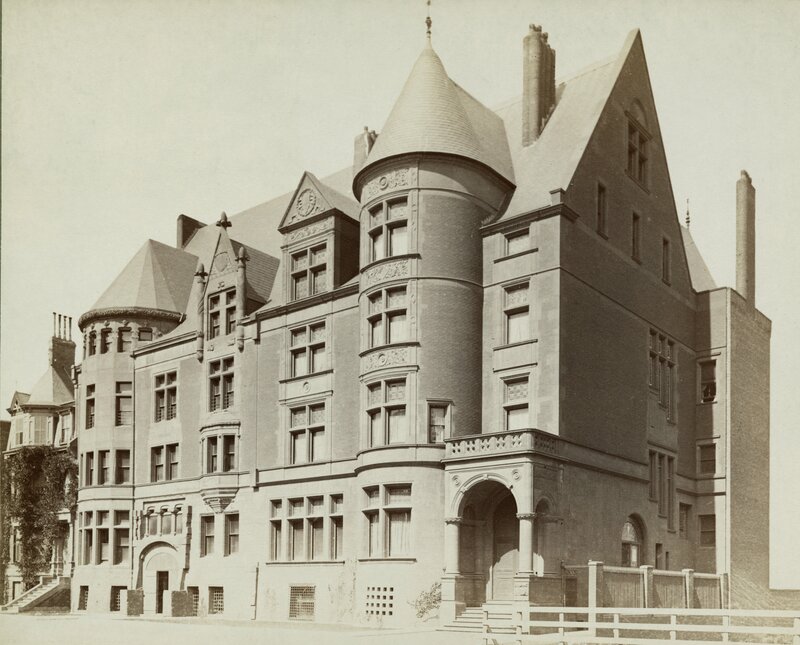 The original townhouse at 274 Beacon, designed by Henry Hobson Richardson, was demolished in early 1929. Click here for an index to the deeds for 274 Beacon. During the 1930s or 1940s, the number of units was reduced to nine, with a two-floor duplex on the eighth and ninth floors. 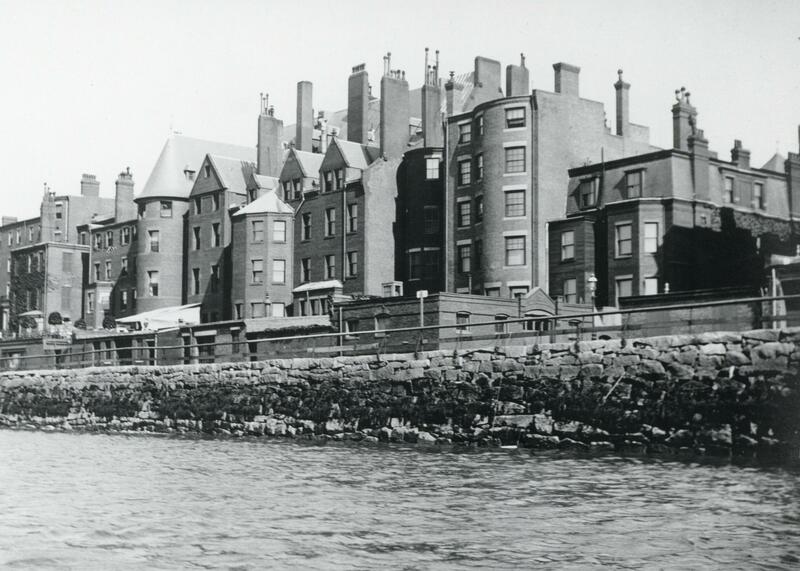 In August of 1948, the 274 Beacon Street Trust filed for (and subsequently received) permission to make separate apartments on the eighth and ninth floors, and increase the number of units to ten. On December 23, 1949, the Cambridge Savings Bank foreclosed on its mortgage to the 274 Beacon Street Trust and took possession of the building. On December 29, 1949, it sold the property to the 274 Beacon Corporation, with real estate dealer Elliott Henderson as president. 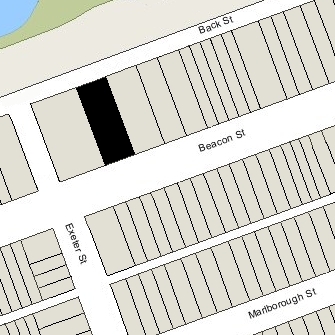 On October 10, 1951, 274 Beacon Street Inc. was formed and on November 1, 1951, it acquired 274 Beacon and operated it as a cooperative apartment building. 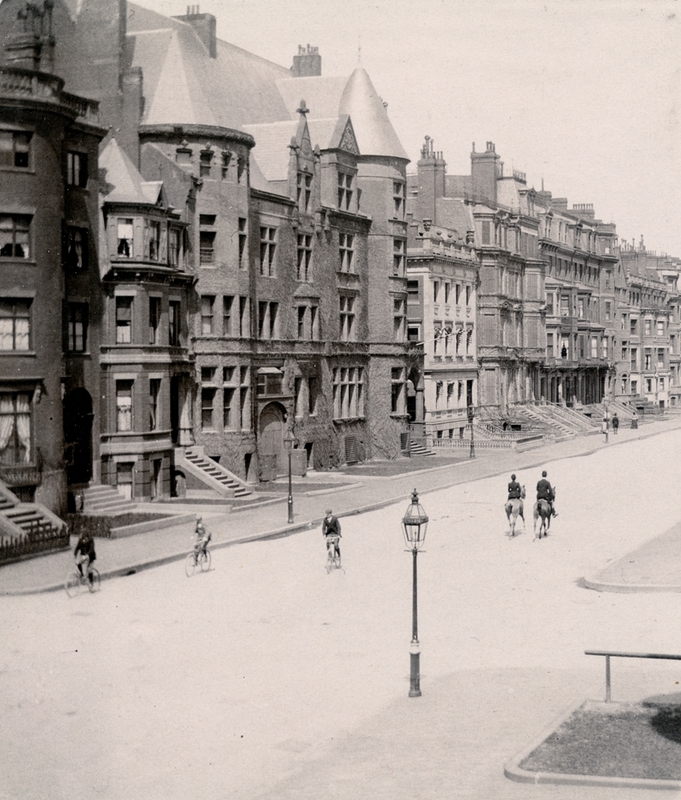 274 Beacon was designed by Henry Hobson Richardson and built in 1881-1882 for investment banker Francis Lee Higginson and his wife, Julia (Borland) Higginson, on land he purchased on May 25, 1881, from the Boston and Roxbury Mill Corporation. They previously had lived at 294 Beacon. In his Houses of Boston’s Back Bay, Bainbridge Bunting indicates that 274 Beacon was built for Francis Lee Higginson’s brother and business partner, Henry Lee Higginson. This is not correct. He and his wife, Ida (Agassiz) Higginson, lived at the Hotel Agassiz at 191 Commonwealth from the time it was built in 1873 until his death in 1919. On September 17, 1883, Francis Lee Higginson transferred 274 Beacon to himself and his father, George Higginson, as trustees under a marriage agreement entered into when he married Julia Borland in February of 1876. In December of 1895, he filed for divorce, alleging (as reported by the Boston Globe on December 27, 1895) that his wife had committed adultery with James Wheatland Smith “on the high seas on the steamship Columbia, at Genoa, and sundry other places.” The divorce was granted in May of 1896. James Wheatland Smith was a lawyer in Boston. He retired from practice in 1895 and moved to Europe. He and Julia (Borland) Higginson were married in London in November of 1896. They remained in Europe until 1912, when they returned to New York City, where he resumed practice as a lawyer. 270-274 Beacon (ca. 1885), Soule Photo Company; Ryerson and Burnham Libraries, The Art Institute of Chicago (Digital file #44396). On November 28, 1896, the successor trustees under the 1876 marriage agreement transferred 274 Beacon back to Francis Lee Higginson. He married again iin April of 1898 to Corina Anna Shattuck. They lived at 274 Beacon and also maintained a home at Prides Crossing. Francis Higginson died in August of 1925 and Corina Higginson moved soon thereafter to 101 Chestnut. 274 Beacon was not listed in the 1936-1928 Blue Books. On September 4, 1928, 274 Beacon was purchased from Francis Lee Higginson’s estate by Walter Rogers Whiting. He and his wife, Gertrude (Clarke) Whiting, lived in Hingham, but probably spent part of the 1928-1929 winter season at 274 Beacon (they were listed there in the 1929 Blue Book). Walter Rogers Whiting was vice president of the Bankers Electric Protective Association, an alarm company. On January 29, 1929, the New York Building Wrecking Company filed for (and subsequently received) permission to demolish 274 Beacon. 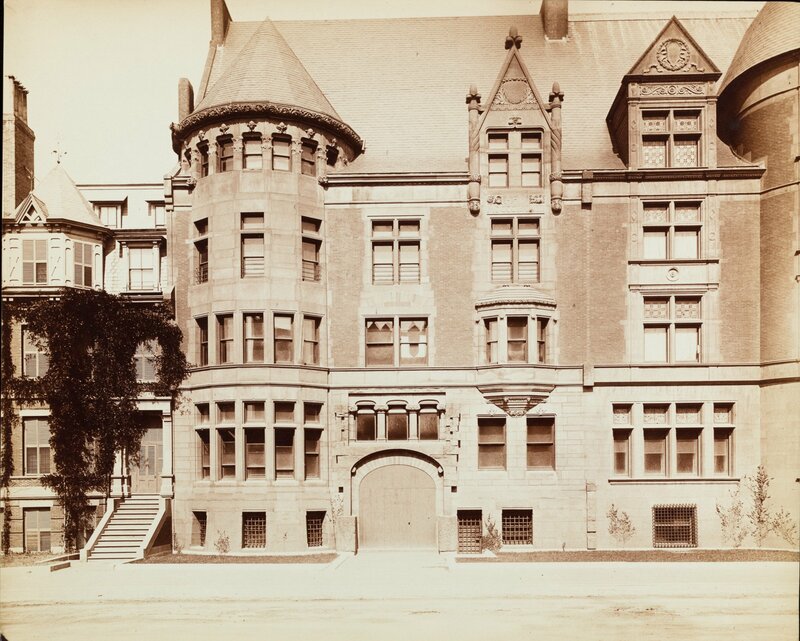 On February 4, 1929, the property was acquired from Walter Whiting by the 274 Beacon Street Trust, formed by his son, architect George Clarke Whiting, real estate dealer Harrison O. Apthorp, and contractor Frank G. Barrows. George Whiting subsequently designed the apartment house built on the site.